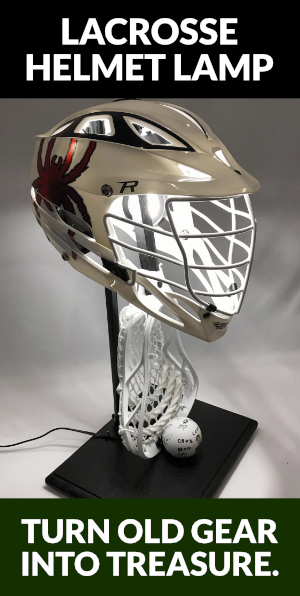 In this LaxFactor Lacrosse Film Review, we’ll sit down and take a look at shooting with time and room, spot shooting, step down shooting, whatever you want to call it, we’re about to look at it. In lacrosse, shooting with your “hands free” is an art. Finding open space on the field that gives you the time and room needed to get step down shots off is also an art, and we hope to provide you with some examples of players doing exactly that…finding space and lacing shots to corners. Also important is not getting hung up on “stinging corners”. It’s awesome to be sure, but in the sport of lacrosse, changing the elevation of your shot is key, so making sure that your release point isn’t the same as where the ball ends up is key. High ball release, and a high shot, aka, “High to High” is bad, as is low to low. Change the level of your shot, low to high, high to low and so on. Another thing we’ll touch on briefly is a bit of “off ball” strategy. There are a few “almost always soft spots” on a field in the sport of lacrosse you can watch out for and try to increase your “time and room” chances.